Reading Giambattista Basile’s The Tale of Tales (Lo Cunto de li Cunti, or alternately, the Pentamerone), I wondered at the evolution of “fairy-tale” as an adjective – as in fairy-tale castle, fairy-tale romance, fairy-tale wedding. 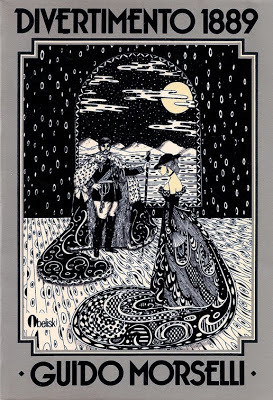 How, given Basile’s collection of exceedingly bizarre tales – what translator Nancy Canepa calls “the first integral collection of authored, literary fairy tales in western Europe” – could the term ever have gained such airy, pleasant connotations? Perhaps it was through reaction and flight from the raw, grim, joyful, mercurially dramatic cornucopia of weirdness that makes up The Tale of Tales. Basile’s collection came to my attention while I was exploring Teofilo Folengo’s Baldo, an influence on Basile’s work. Through these tales, written in Neapolitan, Basile aligns himself with the vernacular, sardonic tradition of Folengo and, before him, Boccaccio. I hardly expected anything as rewarding as Baldo’s baroquely delirious, macaronic burlesque, but The Tale of Tales, which appeared in five volumes between 1634 and 1636, proved perhaps even more entertaining. Variations of some of the tales will be familiar already to readers. They include the first recorded version of “Cinderella” as well as other stories later filtered through Charles Perrault, the Brothers Grimm and Hans Christian Andersen to emerge as “Sleeping Beauty,” “Puss in Boots,” “Rapunzel,” and “The Golden Goose,” to name a few. The richness of Basile’s stories – their unrestrained, frequently gruesome queerness; imaginative and bewitching metaphorical language; and local color, rooted right down to the fennel in Neapolitan specifics – makes them something quite apart from the later stories they inspired. The stories of The Tale of Tales are like no other fairy tales; imbued just as much with the formulas of elite literary culture as with those of folkloric traditions and orality; closer to Rabelais and Shakespeare (Basile has been called a Mediterranean Shakespeare) than to most other fabulists; bawdy and irreverent but also tender and whimsical; acute in psychological characterization and at the same time encyclopedic in description; full, ultimately, of irregularities and loose ends that somewhat magically manage to merge into a splendid portrait of creatures engaged in the grave and laborious, gratifying and joyful business of learning to live in their world – and to tell about it. And reading Basile’s text is an experience like no other, a roller-coaster ride in which the reader glides along smoothly for only brief stretches of what is, overall, a decidedly vertiginous experience. Containing this “vertiginous experience” is an almost geometrically rigid and simple structure. 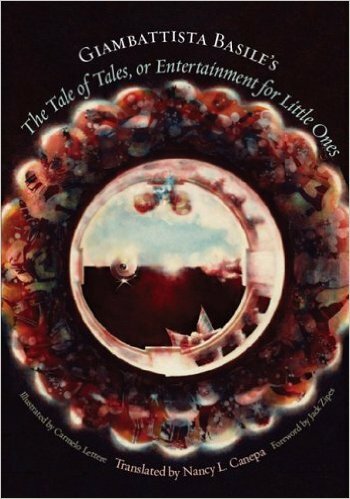 Basile’s tales nest within an overarching, framing “tale of tales.” Lucia, the evil wife of a handsome prince, Tadeo, has threatened to kill the child she carries unless Tadeo will satisfy her desperate need to hear stories, a desire implanted in her by a fairy intent on aiding the honest Zoza, from whom Lucia stole the vessel full of tears Zoza had shed in order to awaken Tadeo from death and thus become his betrothed. Responding to Lucia’s threats, Tadeo calls on women from across the land to come to the palace to tell stories. From the multitudes who respond, Tadeo picks the ten best, and, over five days, each recounts a story a day. Interspersed between each day’s ten tales are eclogues in the form of dialogues between members of the court. Finally, a concluding chapter resolves the conflict of the opening tale, restoring Zoza to her rightful place by the prince’s side and sending the malevolent Lucia to an especially cruel fate. There is nothing in the world more delicious, my illustrious women, than to hear about the doings of others, nor without obvious reason did that great philosopher set the supreme happiness of man in hearing pleasant tales; since when you lend an ear to tasty items, cares evaporate, irksome thoughts are dispelled, and life is prolonged. Interwoven into these “pleasant tales” is a riotous compendium of the bizarre, loathsome, and wondrous: a woman who, instead of having “a little fart” of a child, gives birth to a branch of myrtle; a young girl who creates her spouse out of almond paste, rose water and precious gems; a live goose used as toilet paper; a virgin who eats a sea dragon’s heart in order to become pregnant; an envious girl who has herself skinned by a barber as she’s been tricked into believing this is how to become beautiful; a donkey that shits “a superb diarrhea” of “pearls, rubies, emeralds, sapphires, and diamonds, each as big as a walnut”; as in Baldo, a whale mistaken for an island and containing in its belly “splendid countrysides, breathtaking gardens,” and subterranean chambers (the ubiquity of this conceit in Italian literature might make for an interesting dissertation); and a tale in which, in putting one’s ear to the earth, it’s possible to hear all the intrigues of the world. Zezolla returned to the date tree and repeated the enchanted song, at which she was magnificently dressed and placed in a golden coach accompanied by so many servants that she looked like a whore arrested in the public promenade and surrounded by police agents. …the sea, with a smack of its waves, beat the rocks that wouldn’t give the answers to the Latin exercises they had been assigned…she reached the foot of a spoilsport of a mountain that went around with its head in the clouds just to bother them…the sun holed up in the clouds from fear, and the sky grew dark; the hearts of all those people were like mummies, and they were trembling so hard they wouldn’t have been able to take an enema made of a single pig’s bristle. …hair was a set of handcuffs for the cops of Love, her forehead a tablet on which was written the price list for the shop of the Graces of amorous pleasures, her eyes two lighthouses that signaled the vessels of desire to turn their prow toward the port of joys, her mouth a honeycomb amid two rose hedges. …hair was like a broom made of dry branches, not to sweep dust and cobwebs from houses but to blacken and smoke out hearts; her forehead was made of Genoese stone, to whet the knife of fear that rips open chests; her eyes were comets that predicted shaky legs, wormy hearts, frozen spirits, diarrhea of the soul, and evacuation of the intestines, for she wore terror on her face, fear in her gaze, thunder in her footsteps, and dysentery in her words. Her mouth was tusked like a pig’s and as big as a scorpion fish’s, twisted like those who suffer from convulsions, and as drooly as a mule’s…a distillate of ugliness and a hospital of deformities. I cannot remove myself from you without a stream of tears flowing from my eyes! I cannot leave you, O Mercato, without a load of grief as merchandise! Beautiful Chiaia, I cannot part company with you without a thousand wounds tormenting my heart! Farewell, carrots and chard; farewell, fritters and cakes; farewell, broccoli and pickled tuna; farewell, tripe and giblets; farewell, stews and casseroles! Farewell, flower of cities, glory of Italy, painted egg of Europe, mirror of the World! Farewell, Naples, the non plus ultra where virtue has set her limits and grace her boundaries! I leave you to become a widower of your vegetable soups; driven out of this dear village, O my cabbage stalks, I must leave you behind! Though Basile’s collection has been issued in a number of translations, including by British explorer and translator Sir Richard Burton, I found this edition of Basile’s tales tremendously rewarding. Canepa gives us a richly annotated work with a thorough, fascinating introduction; references linking the tales to later variants by other writers; and short synopses prior to each tale that allow the reader to recall them again with ease (one complaint: it’s unfortunate that a hardcover version is not available, as this is the kind of book one is likely to turn to again and again). For readers bothered by the sanitized, Disney-fied fairy tales that proliferate today, The Tale of Tales is a resplendently burlesque, marvel-filled antidote by a writer of enormous talents. Hopefully, a new film based on a trio of Basile’s stories will help bring renewed attention to this exquisite collection.